Jimmie Vaughn, Joe Bonamassa, and others. Contains 40 tracks. Q: Did Eric ever meet Jimi Hendrix? A: The two were introduced by ex-Animals bassist Chas Chandler, the man who put together the Jimi Hendrix Experience. They met at an early Cream concert at the Polytechnic of Central London, on October 1, 1966. Jimi had been wary of going to England, but Chandler's promise to introduce him to EC pushed him over the edge. 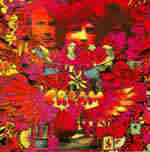 When the two first met, Hendrix played Killing Floor for EC. Q: Was Clapton influenced by Hendrix? Clapton's "Sick And Tired" off his new Pilgrim LP has been angering women's groups who have labeled the songs as "hate speech." A portion of the offending lyrics include: I'm gonna get me a shotgun, baby, Keep it stashed behind the bedroom door. I may have to blow your brains out, baby, Then you won't bother me no more. Opponents of the song have said, "It's disturbing to all of us Clapton fans. In this day and age, with domestic violence as prevalent as it is, the idea of him writing a song like that is horrible." Supporters of the song have claimed that the track represents the tradition of blues music. In 1965 Clapton joined the Yardbirds. After a short time, Clapton left the Yardbirds because he felt that they had become too much of a pop group and he wanted to remain loyal to the blues. This made room for Jeff Beck and Jimmy Page, the other two British superstars that would rise out of the British blues scene. John Mayall's Bluesbreakers provided Clapton's next venue, as it did numerous other young players, including Mick Fleetwood, John McVie, and Peter Green who would go on to form Fleetwood Mac. Clapton left Mayall in 1966 to form Cream with bass player Jack Bruce and drummer Ginger Baker. 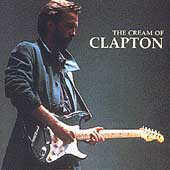 In 1990, Clapton won a Billboard Music Award for Top Album Rock Artist. It was a year of loss for Clapton as well. Clapton lost several members of his road crew and friend, Steve Ray Vaughan, in a helicopter crash. In February, 1991, Clapton won his first solo Grammy Award for Best Rock Vocal Male for "Bad Love." But tragedy soon struck Clapton the following month when his 4-year old son was killed after falling out a high-rise window. The Eric Clapton song "After Midnight" is one of 500 Songs That Shaped Rock And Roll according to the Rock And Roll Hall Of Fame. 1993, was the year of awards for Clapton. He took home 6 Grammy Awards including: Record of the Year, Song of the Year, and Best Pop Vocal Performance Male for "Tears In Heaven," Album of the Year and Best Male Rock Vocal Performance for Unplugged. With the 10 March 1998 release of Pilgrim, Clapton finds himself on the verge of his first US tour in nearly three years, kicking off in St. Paul, Minnesota. Hear the first single from Pilgrim: My Father's Eyes (MP3 file). Many guitar makers have made special edition Eric Clapton guitar models, including the Fender Eric Clapton Stratocaster and the Eric Clapton Martin Auditorium acoustic guitar. All-Music Guide Eric's Bio, discography etc. a Trio of Virtuosos: Eric Clapton, Ginger Baker, and Jack Bruce. Three musical geniuses with masterly abilities, an abundance of raw talent, and incredible technical skill. CREAM revolutionised the sound of electric music forever. Though well known for amazing studio work (such as the classic, sophisticated hits I Feel Free, Sunshine of Your Love, and White Room, not to mention the world's first record ever to go platinum, the 1968 WHEELS OF FIRE), CREAM's hallmark sound developed and shone through during their high-powered live tours. Though CREAM's meteoric life would not last for three years, the Power Trio would contribute greatly to the evolution of electric music. Not only did it pave the way for the hard rock of Jimi Hendrix and Led Zeppelin (and the ugly heavy metal spawned by late Zeppelin and future heavy metal groups); it also made possible the phenomena of electric jazz and progressive rock, such as John McLaughlin's Mahavishnu Orchestra. Bringing a touch of jazz to old blues standards and the psychadelia of the 1960s, CREAM would play extended solos. CREAM developed a form of communication between musicians which was hitherto unheard of. Employing great improvisational skill, CREAM unlocked the doors to the pent-up energy of a new approach to music.